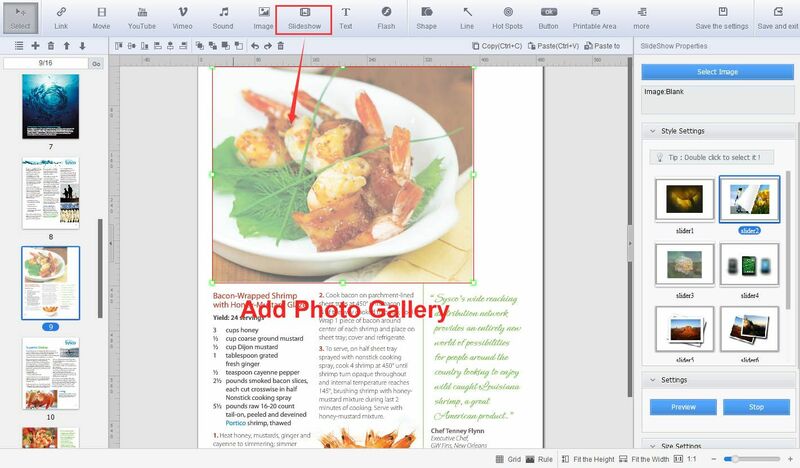 Flip PDF Professional is a powerful feature-rich flip book maker with page edit function. 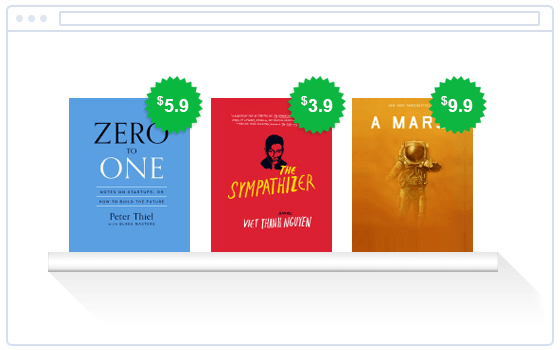 With Flip PDF Professional, you are able to create inspiring page turning books to display smoothly on iPad, iPhone, Android devices and desktop. Get started with hundreds of stunning pre-designed templates, fully customize your digital brochure or catalog with interactive effect by adding multi-media like YouTube video, MP4, audio image, hyperlink, Flash in the drag-and-drop interface simply, everyone can generate impressive flip books easily. 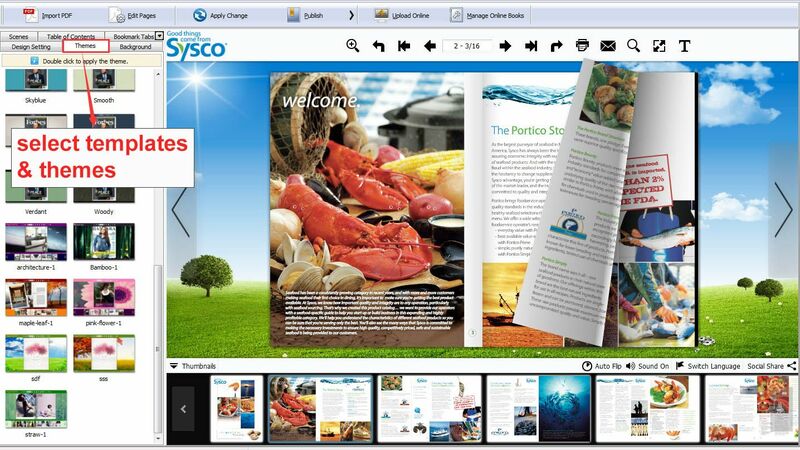 Flip PDF Pro publishing solution fully engages your audience with rich interactive media. You can easily embed all types of animative rich media into your flip book. 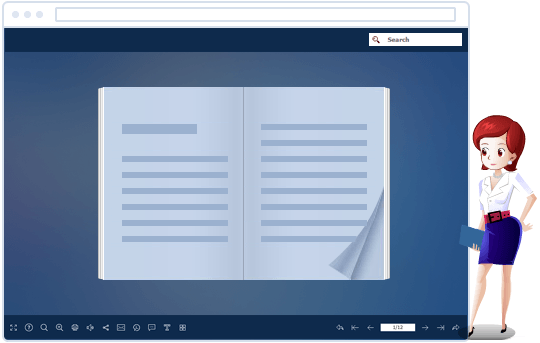 Just a drag, drop or click, you can embed YouTube video, Hyperlink, animative text, image gallery, audio file and Flash into the book page and create a life-like sence(view an example). You are allowed to add hot spots to highlight the important content and lead traffic to your website or E-commerce store! 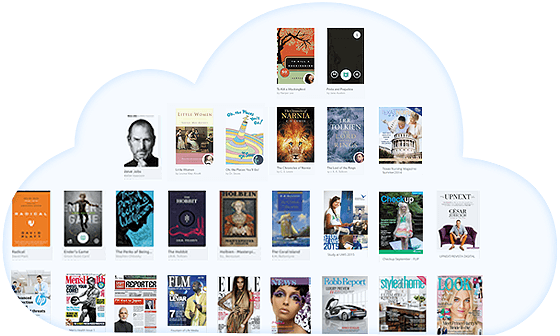 With Flip PDF Pro, you will enable your readers to engage, explore and discover new territories with your online publications. Watch the tutorial video to see how easy it is. Engage customers who love to carry iPad, iPhone or Android tablets and who are comfortable with swipping, touching and tapping. 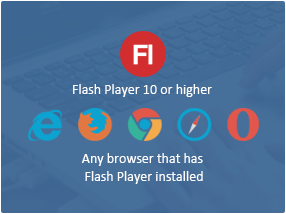 Based on both Flash and HTML5 output formats, the flipping book can run smoothly on desktop and mobile devices. With Flip PDF Pro, your readers can view your digital page turning magazine, lookbook, catalog and newspaper anywhere, anytime. Flip PDF Pro provides different ways for you to share your page-flipping eBooks. 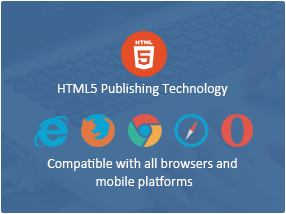 You can publish HTML format eBooks online without website domain limitations or paying royalty fees. You can also distribute your publications via Email, CD/DVD or Flash-drivers in ZIP/EXE format, Mac App, FBR (can be easily read offline with free Flip Reader), or on Mobile (iPhone, iPad, iPod Touch, and even Android-powered devices). Besides, you can directly publish the flipbook to your FTP server, Email to your readers or create *.scr format flip book to use as Screen Saver. 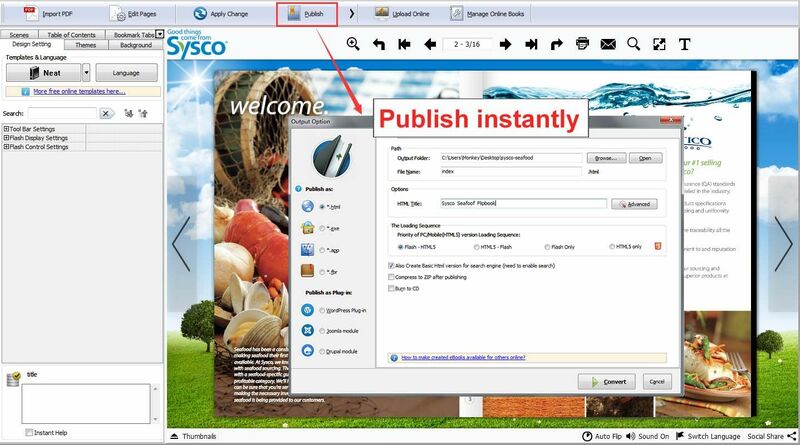 In addition, you can publish the flipbook as WordPress plugin, Joomla & Drupal module directly. 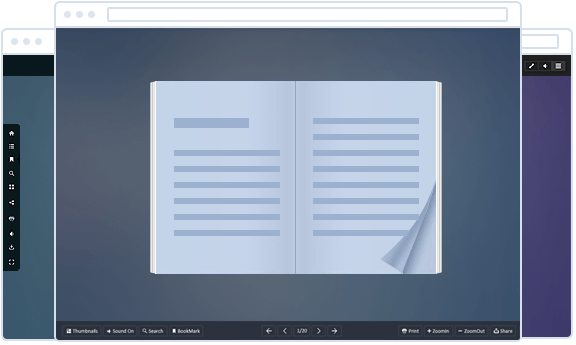 In Flip PDF Pro, you cannot only choose flash preloader for your book, but can also use different templates to present flipbooks with different layout and tool bar features. And you can customize your stylish eBooks with dozens of template settings. Multiple pre-designed Templates, Themes, Scenes and Backgrounds are ready for you to use directly. And you can also add plugin to the book: banner, news rotator, image slider, music player, YouTube video banner, etc. There are also many online resources available now: multiple templates, 400+ themes, 200+ scenes and 700+ backgrounds. More stunning and amazing templates and other resourses will be published in future. View and Download your favorite templates and themes now! In addition to single and batch conversion modes, Flip PDF Pro also provides a Command Line mode to help you to automate the creation of the Flash eBooks without opening the Windows desktop application. The Command Line mode allows you to custom set multiple details. This Command Line mode can perform your conversions with ease! If you have a Google Analytics account, you can make use of Flip PDF Pro's built-in functionality - Google Analytics Embedding. Embed Google Analytics tracking code to each online book, which will enable publishers track the performance of each page and every interactive event. Measure key metrics of your publication include traffic, page views, duration, bounce rate and events, then create the right content for your readers. 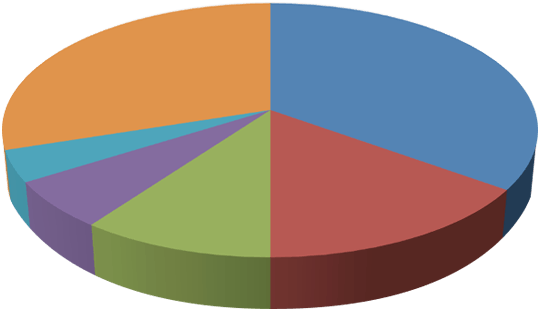 How to track your readers with Google Analytics? 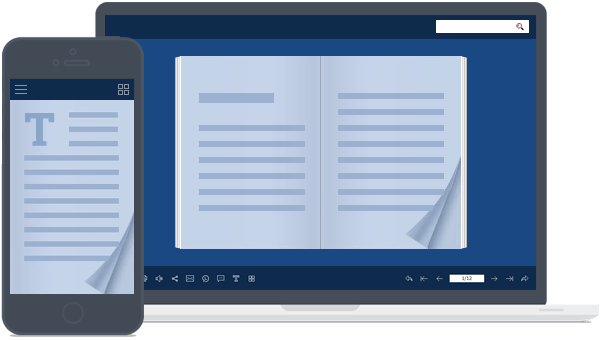 The integration with modern social networks of page-flip ebooks created by Flip PDF Pro can help to make them known by more and more people who will share your book online. 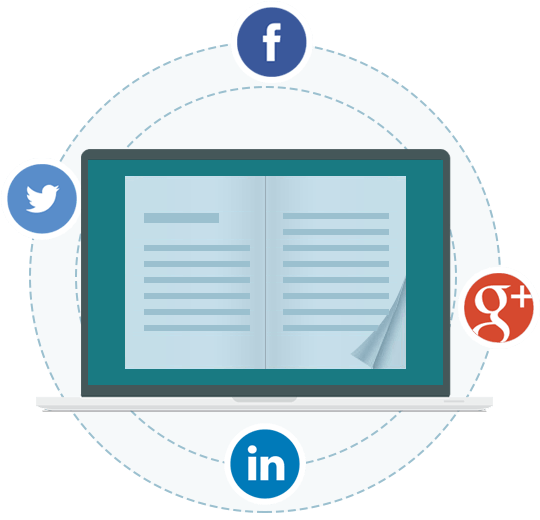 All readers can share book links with others on Facebook and Twitter, or send links out via e-mail, or even embed your flipbook publication into their own sites. Flip PDF Pro is one of the most powerful and popular flip book software in the world. 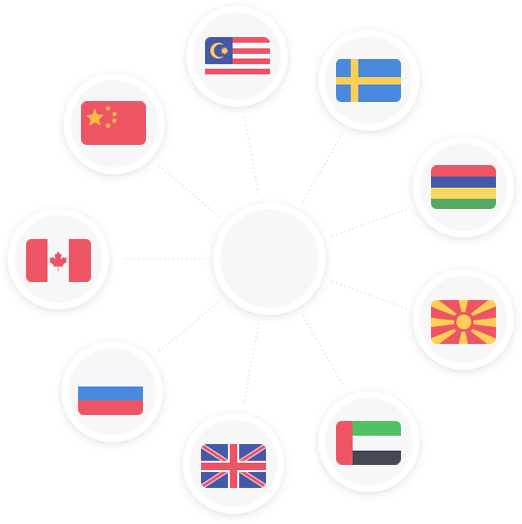 We have developed an 11-language Germany, French, Spanish, Portuguese and more) version of software to meet the need of the global users. 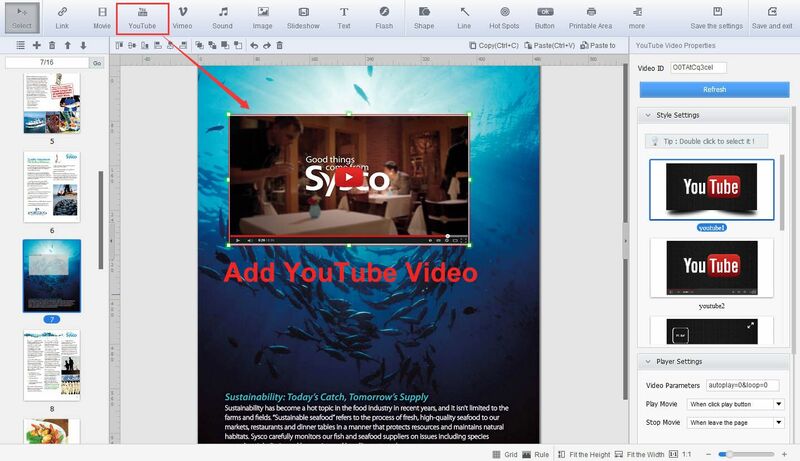 Every user can customize the software language and operate flipbook project in native language interface. To make it more convenient for you to publish your created flipbooks online, we developed the Upload Online Service. With the service, you can upload or batch upload your book(s) online instantly after the creation, no FTP or other upload tool needed. 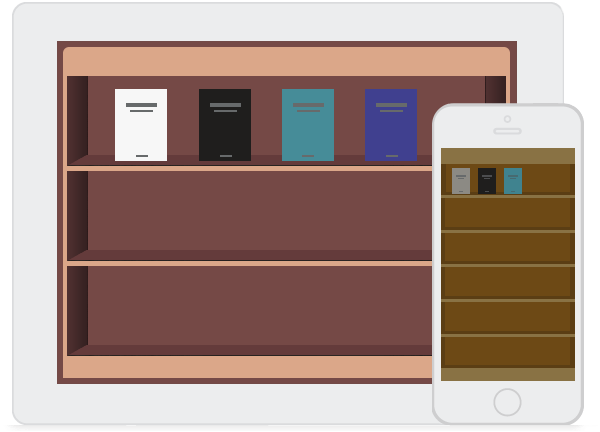 You can easily manage your books, and make it easy for others to view your book in browser of PC, Mac, iPhone, iPad and Android devices. FlipBuilder Shopping Cart enables you to sell PDF ebook on your website, eBay, MySpace Google Base, Craigslist and other websites using PayPal Payments Standard, PayPal Payments Advanced, PayPal Payments Pro, PayPal Payflow Pro For merchants selling ebooks. 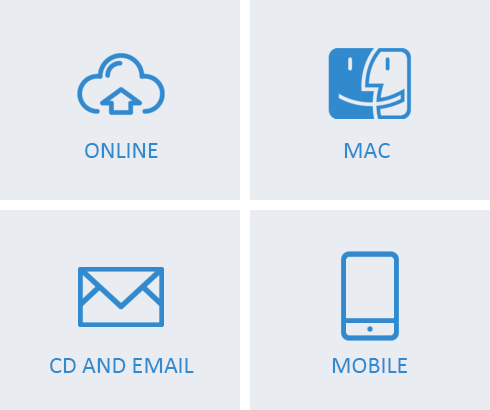 We automate and secure the digital delivery of ebook and codes. More details about Shopping Cart Service to sell your book here. 1. Convert PDF to Flash/HTML page-flipping eBooks. 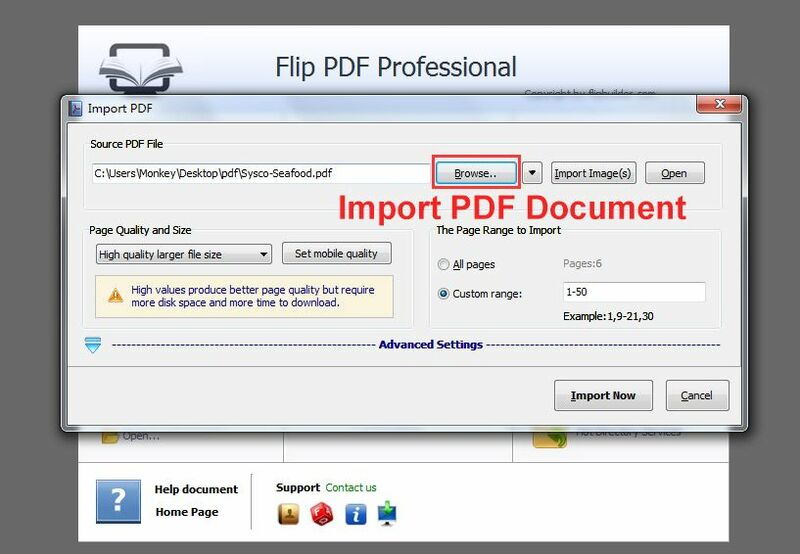 Launch the Flip PDF Professional Program, click "Create New" button, then click "Browse.." to slect a PDF document from your computer. You can also import images to create a photo book in Flip PDF Pro. 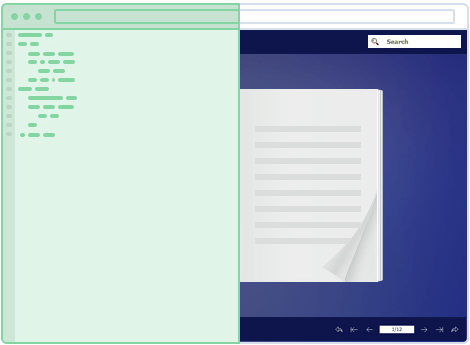 In the "Template Design" interface, you can design your flipbook with built-in template, theme, background, animated scene, assistant, plugin. Besides, in "Design Setting" tab, you can customize your flipbook with various of custom settings such as logo, interface language, social share. 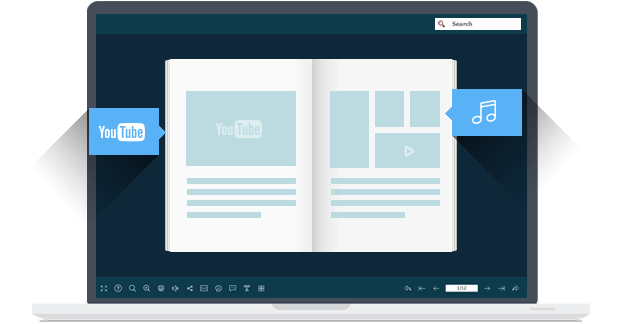 The powerful "Page Editor" in Flip PDF Pro enables publisher enrich flipbooks with video (including YouTube & Vimeo video), audio, flash, images, links, text, shape, button, printable area, etc., which makes your page flipping ebook more gorgeous and attractive. 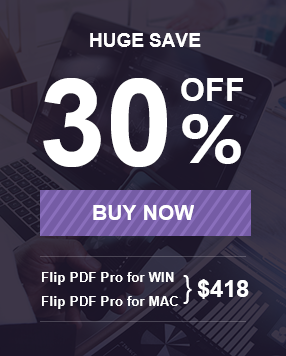 Flip PDF Pro provides multiple output formats for you, including html, exe, zip, Mac app, mobile version and burn to CD. You can publish a flipbook to online host and share it with readers online too.